Kabusecha is between Sencha and Gyokuro. 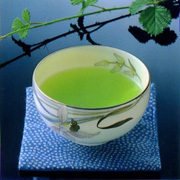 It is grown in the shade for twenty days like the hand picked Gyokuro, and then is machine harvested like Sencha. 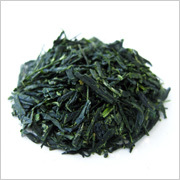 Kabusecha is gathered only once a year in the early springtime from select quality tea leaves. It has a very desirable fine light taste and green color. Choose Kabusecha when selecting among the very best Japanese teas. Brewing instructions are not printed on Consumer (Bulk) packages. Please see the How To Brew page for brewing instructions. 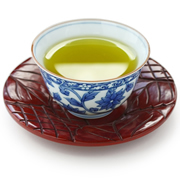 Kabusecha brews exactly like Sencha.